Volunteers are the heart of Harmony Hospice. Our dedicated volunteers become part of the health care team, enhancing the patient and family experience by meeting specific needs. Below is a list of volunteer options. Administrative Support Volunteers provide general office assistance for staff. Some examples are: special projects, organizing supplies, writing thank you cards, assembling information packets for clients, and assistance during in house community events. Please note that this is a on call volunteer placement opportunity, depending on staff needs. If you enjoy interacting with the public, we have the volunteer opportunity for you! 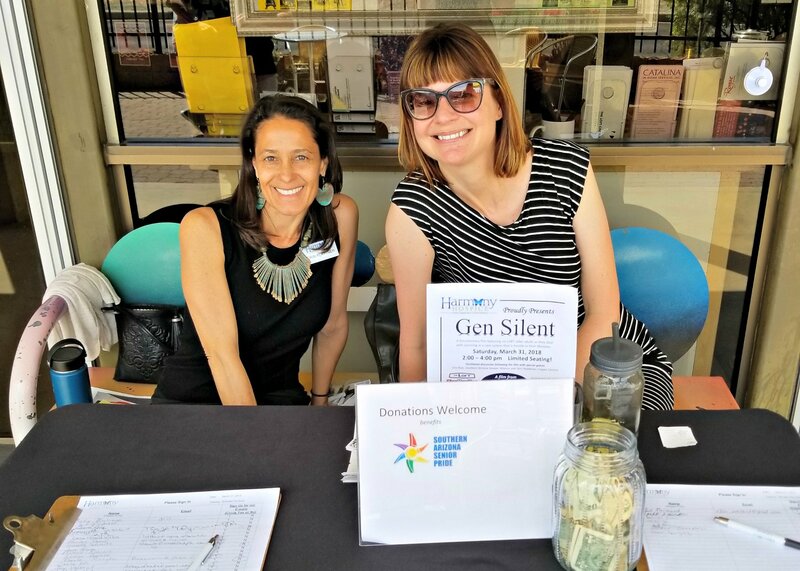 Our Community Engagement Volunteers educate the public about Harmony Hospice by helping at our booths during health fairs and other community events. 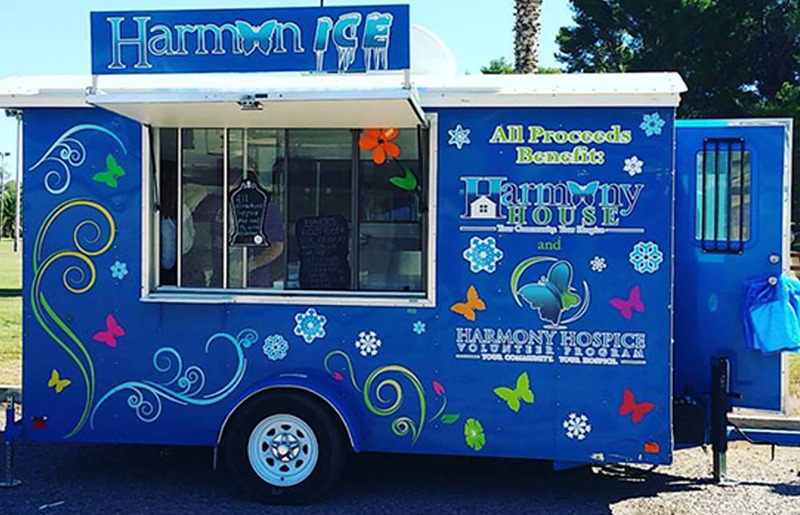 When our Harmon-Ice truck is out and about, it’s run by volunteers! You would be serving free snow cones at community events. If you are a teenager and interested in volunteering with Harmony Hospice, please call our Volunteer Coordinator at (520) 284-9334 to discuss TEEN opportunities. Please be sure to talk about your plans with your parent/guardian too. You will need their written consent to volunteer with us. As a Client Support Volunteer, you not only provide companionship to a client in need, but you provide moral support and help with activities that will enrich their (and your) lives. You may enjoy reading together, watching tv, working on a craft project, having a conversation, and/or assist with respite care. If you possess a unique talent or skill and have time share it with our patients and their families, please let us know. We would be delighted to have you on-board. 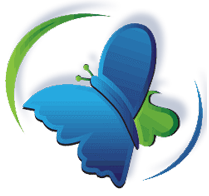 Bereavement volunteers work under the direction of professional bereavement staff and receive special training. Providing assistance to families and loved ones through phone calls, letters, and/or during support groups. Fill out an application below or request to have one mailed to you by contacting our Volunteer Coordinator at 520-284-9334. The application, screening and training process takes two to three weeks. Harmony Hospice Volunteers receive training according to NHPCO (National Hospice and Palliative Care Organization) Guidelines to ensure they have a successful volunteer experience. Total training time is approximately 16 hours for hospice volunteers and 10 hours for administrative and community engagement volunteers. Provide information at health fairs and events. Background check, basic training and TB screening are provided at no cost to you. Do I need medical experience or training? No, all of the training you need will be provided by Harmony Hospice. Volunteers augment the patient experience, and do not provide direct clinical care. Do I have to volunteer for a minimum of hours? Our patients are located throughout Pima County – Green Valley and Tucson City areas. Patients live in private homes or in care facilities. Volunteers choose their own assignments and the duration of the visit varies with each patient. 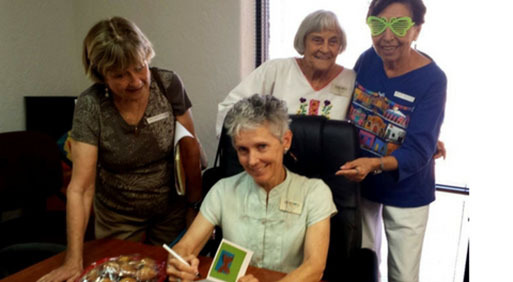 What are the requirements for Harmony Hospice Volunteers? Interested in volunteering with Harmony Hospice? Our Volunteer Coordinator, Kenya Romero, would love to meet you. You may fill out our ADULT volunteer form or TEEN volunteer form and email the form to Kenya Romero at: kromero@harmonyhospice.org. Or, you can fill out the short inquiry request below .